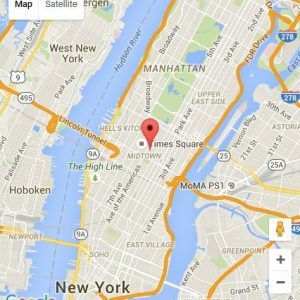 New York Dog Bite Lawyers; 212-221-9893 - Canine Attack? Our New York dog bite lawyers enforce the law against negligent and reckless pet owners in Manhattan, Brooklyn, the Bronx, Queens and beyond. We handle Doberman Pinscher, Pit Bull, Rottweiler, German Shepherd cases and more. Strong legal action is needed to protect NYC residents from the breeding of violent domestic pets. A horrific reminder of this came on November 8, 2015, when a pit bull attack killed a young girl in Long Island, NY. The vicious dog lived with a neighbor of the girl in the Nassau County town of Baldwin. A dog bite lawyer assessing the bit bull owner’s criminal history suggested criminal charges should be filed. Ownership of K-9 dogs with a violent temper, including Akitas, Saint Bernards and Spaniels, requires the owner to supervise and restrain the dog at all times. Millions of dog bites occur every year. Most dog bite victims are young children. Many vicious dog bites result from negligent supervision by the dog’s master. A New York dog bite lawyer can establish the standard of reasonable care a pet owner must take to protect others. Outdoor dogs must be fenced in a back yard or chained up to prevent it from roaming the streets. Even a dog on a chain may require a fence to prevent pedestrians from approaching too close. A dog bite lawyer will investigate the cause of the dog attack. If the dog was acting strangely or drooling from the mouth, it may be infected with rabies disease. Rabies can cause a normally tame dog to act aggressively. The victim of a rabies dog bit attack should obtain prompt medical attention and a rabies vaccine shot. Dogs that have not been neutered or spayed are also considered more aggressive and more likely to attack. A dog bite lawyer will also consider whether the victim may have angered the dog, or scared the animal into a defensive attack. In certain instances, a dog owner’s Homeowners Insurance Policy may cover the victim’s damages. Dog bites to the face, resulting in facial scarring, frequently result in additional monetary compensation awards. Dog bites to children are also frequently awarded additional monetary compensation. If you have been bitten or attacked by a dog, call 911 for emergency medical assistance. Then call our New York dog bit attorney for a free consultation. Our New York dog bite lawyers fight for serious injury victims in Manhattan, Brooklyn, Bronx, Queens & Staten Island.